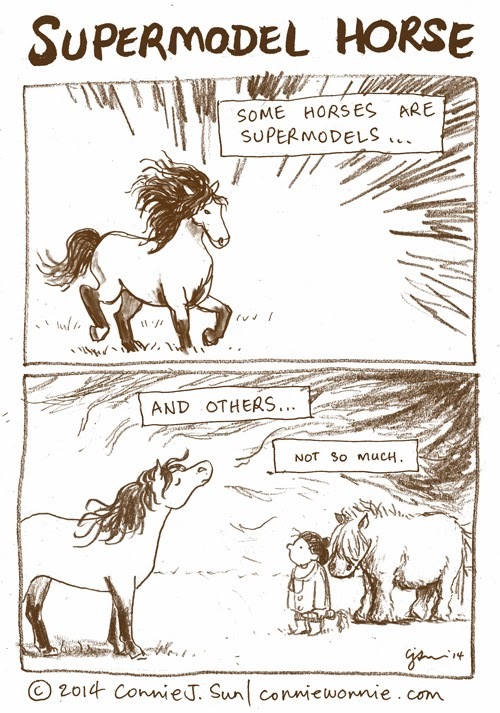 It's easy to feel like a fat pony in a stallion's world. I still love his fluffy curls... Hm, I might be projecting! Have you ever thought about giant pandas? I wouldn't say no to the fat fuzzy guy. After all, I married one. Um, he's an actual guy, not a pony.